DS Referral Program at Burnet! We're rewarding you for spreading the word about your favorite classes at Dancers Shape! Simply screenshot this image and share on your social media. Then have your friends screenshot your post (make sure it includes your name!) and bring it to the studio or email us and we'll give them a free week and you a credit on your account! How easy and fun is that?! *Offer good for new DS clients or those who haven't been to the studio in 3 months or longer. 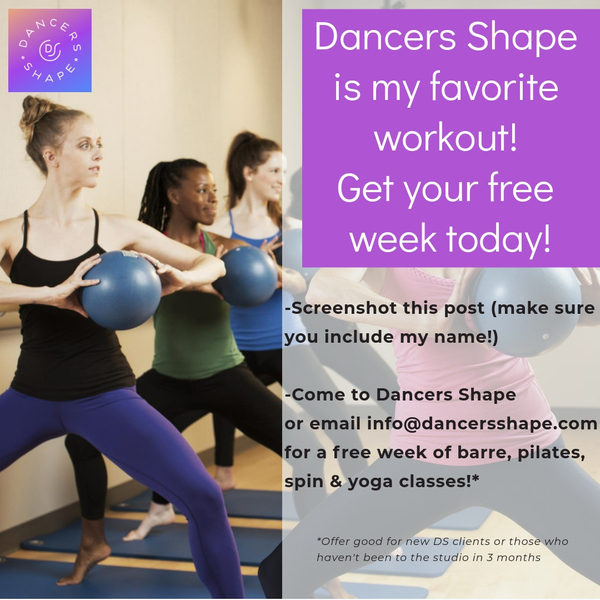 Now's your chance to try my favorite workout @dancersshape! 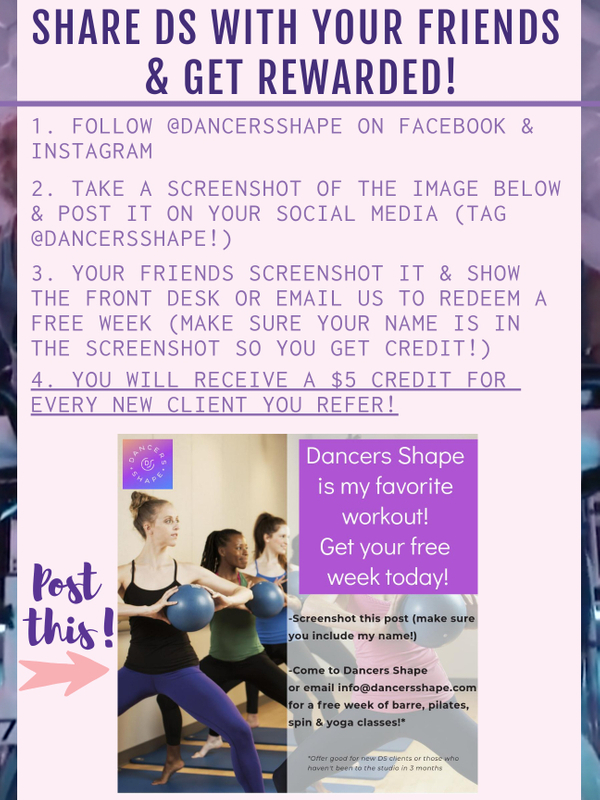 Screenshot this post and bring it in to the Dancers Shape studio or email info@dancersshape.com to get a free week of pilates, barre, spin & yoga classes! Make sure to include my name so I get credit as well. I can't wait to work out with you!